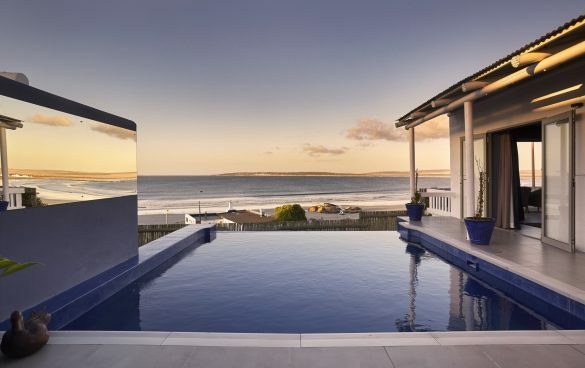 Paternoster’s first butler service is now available at Abalone House’s two newly revamped Pool Villas, situated in the heart of the historic West Coast fishing village. 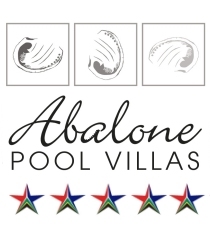 Echoing the vibrant decadence of boutique Abalone House & Spa, the 5 star Abalone Pool Villas epitomize the finest self-catering accommodation in the village – with a butler in attendance to serve a full English or Continental breakfast in suite. Alternatively, breakfast at the Restaurant at Abalone House is offered. 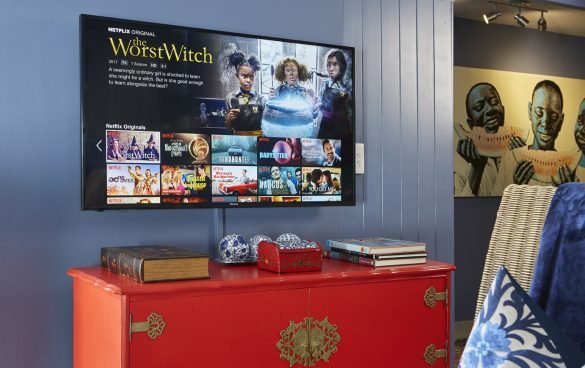 The butler service is also available for late afternoon drinks and canapés, as well as for dinner by prior arrangement – both at an additional surcharge. An enticing selection of restaurants are within walking distance of the Villas and serve simple to sensational cuisine, by day and night. However, the fully-equipped and stylish Villa kitchen also encourages easy meal preparation, and the dishwasher does the rest. Both villas are also serviced each morning to keep them pristine and turn downs are done in the evenings – or not, should you request this. There’s plenty of flexibility too around service, to ensure your stay is thoroughly relaxed, enjoyable and luxurious. 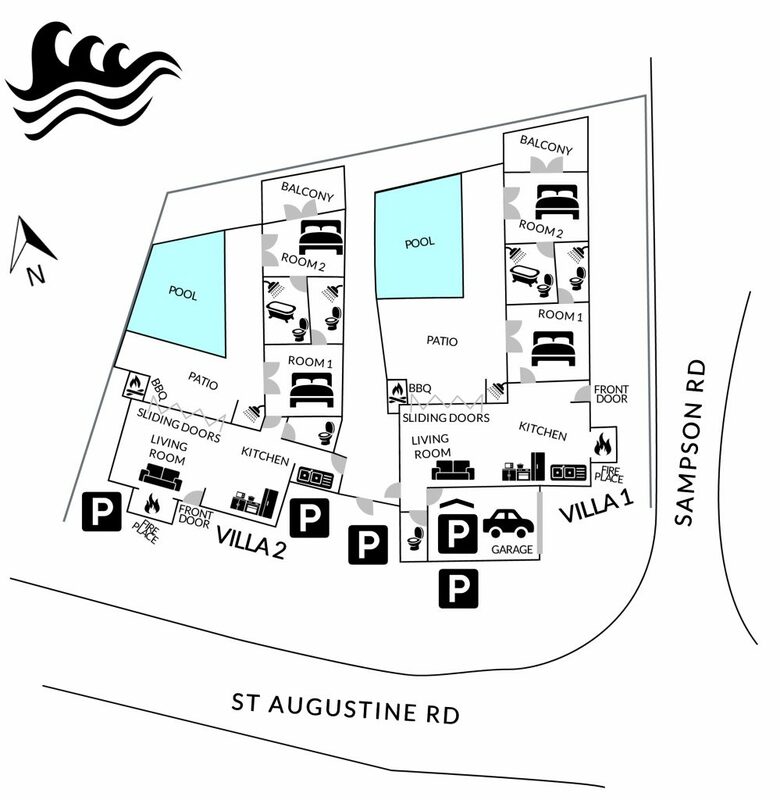 PLEASE NOTE: Check in / out is done at Abalone House & Spa, located at 3 Kriedoring Street in Paternoster. IMPORTANT NOTICE: Guests are advised to take the Abalone Pool Villas’ layout into consideration when travelling with young children. The entrance to each Villa’s second bedroom is located on the patio leading off the main living space. These bedrooms also have doors opening onto a raised exclusive use balcony overlooking the sea. The two Pool Villas are virtually identical and each sleeps two couples or a family of four. 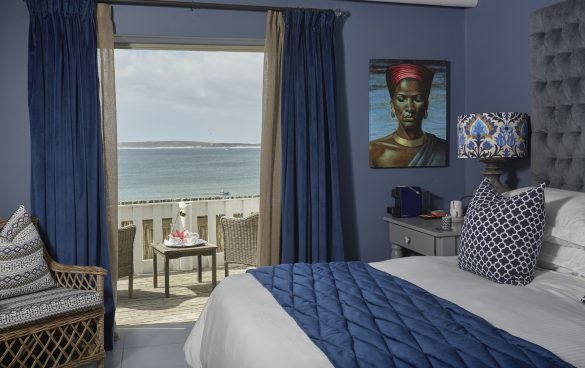 With two spacious and magnificently appointed bedrooms with king beds dressed in fine percale linen, and en suite, both bedrooms lead onto the patio and pool; one of the rooms also has a private balcony with 180 degree sea views all the way to the horizon. But wherever you are in the 5-star Abalone Pool Villas, the ocean is right outside – just beyond the twinkling rim-flow infinity pool, so uninterrupted sea views are everywhere. Each of the two air conditioned bedrooms also offer a flat screen TV with select DSTV channels. The bed configuration can also be changed to offer twin beds. The main bedroom’s bathroom offers a shower, bath and double basin, while the second bedroom’s bathroom offers a shower, and single basin. There is also an additional guest toilet in each unit. •Enjoy traditional West Coast seafood at one of the village restaurants. •Hike or take a 4×4 route in the nearby pristine natural wilderness of the 263-hectare Cape Columbine Nature Reserve at Tietiesbaai. The reserve, about 5km from Paternoster, has many charming rocky coves along the coastline. •Pack a picnic and experience Tietiesbaai a few kilometers outside Paternoster – also a great place to collect shells! •Visit SA’s last remaining manned lighthouse in the Cape Columbine Nature Reserve (built in 1936), shining 32 nautical miles (60km) out to sea.